Entity, i.e. organization, corporation, foundation, or person from which the University derives outside support through grants or contracts. Moneys held by an institution acting as custodian or fiscal agent. The moneys are deposited with the institution for safekeeping, to be used or withdrawn by the depositor at will. These funds may be held on behalf of students, faculty, staff, organizations, or some other third party (collectively referred to as “organization”). A set fee added to the budget of grants/contracts above and beyond all cost-supported budget line items. The purpose of the fee is to reimburse the University for those costs of performing the grant/contract services which cannot be easily quantified or direct charged. A legal document providing support from outside agencies. Award includes grants as well as contracts. A contract is used as a legal instrument whenever its principal purpose is acquisition by purchase, lease, or barter of property or services for the direct benefit or use of the sponsor. Cooperative agreements differ from grants in that for cooperative agreements there is substantial sponsor involvement in the assisted activity. In all other respects, a cooperative agreement is a grant-type instrument. Consistently follow established cost accounting practices with respect to estimating, accumulating, and reporting costs. Consistently allocate costs incurred for the same purpose. Consistently use the same cost accounting period for estimating, accumulating, and reporting costs. The regulations also require that educational institutions disclose and consistently follow their cost accounting policies. In general, cost sharing represents that portion of total project costs not borne by the granting agency. A cost-reimbursable contract provides for payments to the University that can be supported by the actual direct costs incurred by the University in performing and completing the contract, adjusted for negotiated indirect costs, fees and cost-sharing agreements, where applicable. Each year the University negotiates an indirect cost rate with its cognizant agency, the Office of Naval Research (ONR), to be used on all sponsored grants and contracts. On certain occasions, the University may decide to negotiate a lesser Facilities and Administration rate on a specific grant or contract than is currently accepted by the federal government, either because the agency refuses to pay a higher rate, or because the lower rate makes the proposal more competitive. The difference between the ONR rate and the award rate is considered cost sharing, regardless of why a lower rate was negotiated. The calculation of indirect cost sharing is made based on the initial information provided at the time of account creation. Cost sharing of indirect costs results in a smaller Facilities and Administration rate recovery. This is a real loss of income, as the Facilities and Administration rate reflects real expenses. Direct costs are those costs that can be identified specifically with a particular sponsored project, an instructional activity, or any other institutional activity, or that can be directly assigned to such activities relatively easily with a high degree of accuracy. Costs incurred for the same purpose in like circumstances must be treated consistently as either direct or F&A costs. Where an institution treats a particular type of cost as a direct cost of sponsored agreements, all costs incurred for the same purpose in like circumstances shall be treated as direct costs of all activities of the institution. These are actual cash expenditures being spent for the specific sponsored program that are paid for with the University’s funds. All expenditures for direct cost sharing are initially documented through direct accounting forms such as purchase orders, personnel forms, check requests, etc. If a direct cost is not initially identified as cost-sharing, it should be separately identified to the Controller’s office prior to the end of the fiscal year. Direct costs can be applied only once as cost sharing for all sponsored programs. It is important to note that direct cost sharing is considered a component of modified total direct costs, which is the denominator of the Facilities and Administration rate. Therefore, direct cost sharing lowers the Facilities and Administration rate for future years. Costs that are incurred for common or joint objectives and, therefore, cannot be identified readily and specifically with a particular sponsored project, an instructional activity, or any other institutional activity. F&A costs are synonymous with “indirect” costs. Policies and procedures for procurements (contracts) by and for the use of federal agencies. Includes solicitation and selection of sources, award of contracts, contract financing, contract performance and administration, and technical and management functions related to contracts. The FAR incorporates OMB Circular A-21 in its entirety. A firm fixed-price contract provides for a payment to the University that is not subject to any adjustment on the basis of the University’s cost experience in performing and completing the contract. For accounting purposes, gifts are defined as “funds received for which no specific goods or services will directly benefit the sponsor.” Many levels of restrictions may be placed on gifts. A gift-in-kind is defined as a gift of goods other than cash or cash equivalents. For the purpose of this policy, services provided are not considered gifts-in-kind. A grant/contract account will continue to be charged with direct and indirect costs until its budget limit is reached. Indirect cost income cannot be earned on grant/contract overruns. Overruns of direct costs should be charged directly to unrestricted cost overrun accounts under appropriate direct cost object codes as they are incurred. The fiscal monitor of the grant/contract account will be responsible for verifying that cost overrun expenses have been charged to the correct account. A grant agreement is used as the legal instrument whenever its principal purpose is the transfer of money, property, services, or anything of value to the state or local government or other recipient in order to accomplish a public purpose of support or stimulation authorized by statute. The project budget identifies the type of costs that will be incurred in performing the project and gives an estimate of the cost of each line item. The variance allowed between the estimate and the actual expenditures for a line item depends on federal regulations and/ or the terms of the specific agreement. A contract, grant, or other agreement is not complete without a budget. The approved project budget is the basis for the authorization of the expenditure of University funds for the project, as well as for requesting reimbursement from the sponsor. The individual assigned by a sponsoring federal agency to serve as the contact person on all budgetary and administrative matters. The Technical Officer, in contrast, is assigned by the agency to deal with scientific matters. Only the Grant/Contracting Officer is authorized to approve administrative matters such as the allowability of charges or budget revisions. Each sponsored agreement should specify a beginning and ending date. All expenditures must be incurred within grant/contract period or encumbered if allowed by the sponsoring agency to be allowable for reimbursement or to be used as cost sharing. When goods or services are received subsequent to the end of the grant/contract period, justification for late delivery must be provided to Accounting Financial Reporting and Business Services. Payment must occur within the sponsor’s established close-out period for the grant/contract, if the encumbered expense is to be charged to the grant/contract and is allowed as a subsequent expense by the sponsoring agency. For those grants/contracts that are split between multiple University organizational units, one unit will be informally designated as the primary unit for grant/contract administration. This unit will be responsible for documenting how under-recoveries, over-recoveries and disallowances are to be split between the primary unit and all secondary units. Unless otherwise documented, all such items will be divided by the same division as exists in the official grant/contract budget. A payment made to a Non-Employee for which fees are not legally or traditionally required. To be classified as an honorarium, no service should have been provided by the individual. If actual services are being provided, the payment should be classified as a service. This is the value of goods or services provided to the institution by a third party to benefit a specific project. This transaction does not involve the exchange of cash, but rather the receipt of a non-cash contribution from a third party. 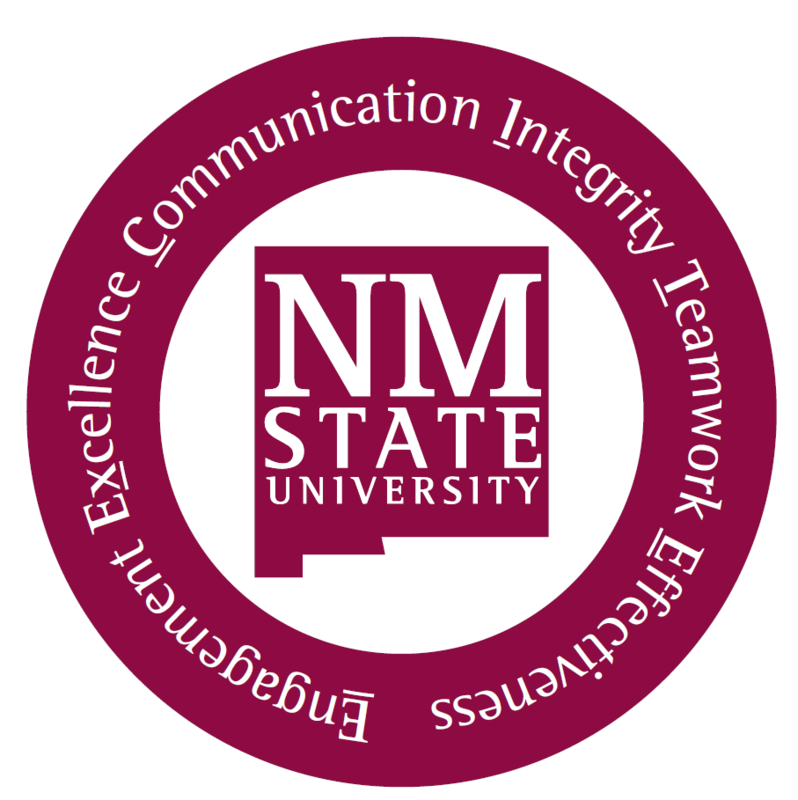 The third party is required to report the value to NMSU so that NMSU may meet the financial reporting required by the agency. Arrangements for in-kind contributions should be made on rare occasions only. Documentation for the supporting records must be reviewed by the Controller’s Office to assure auditability, but the original records are to be maintained by the Research Centers. The teaching and training activities of an institution, whether offered for credit or not, and whether offered through regular departments or special divisions. Departmental or unfunded research is considered a part of Instruction. Research training is classified as Organized Research. Separate from State of New Mexico definitions of the major University functions of Instruction, Organized Research and Public Service, the federal government defines the following major functions for the purpose of classifying both direct and indirect costs (OMB A-21 (E) (1)). Non-resident alien for tax purposes is a person who is not a U.S. citizen and who does not meet either the “green card” test or the “substantial presence” test described in IRS Publication 519, U.S. Tax Guide for Aliens. This circular promulgates standards for obtaining consistency and uniformity among federal agencies in the administration of grants to, and other agreements with, institutions of higher education (OMB Circular No. A-110). This circular provides principles for determining the costs applicable to research and development, training, and other sponsored work performed by colleges and universities under grants, contracts, and other agreements with the federal government. These principles are also used as a guide in the pricing of fixed-price contracts and subcontracts where costs are used in determining the appropriate price. Other sponsored activities undertaken without external support. Includes auxiliary services and all activities unallowable for federal reimbursement. Programs and projects financed by external sponsors involving work other than Instruction and Organized Research above. A fixed daily allowance for meals and/or lodging. Lodging and meal receipts are not required when claiming per diem. In order to be eligible to claim per diem, employees must travel at least 15 miles from their primary official place of work. Additional income generated through the production or use of federal grant/contract by -products, which may require special treatment depending upon the sponsoring agency. Program income is commonly generated from such activities as fees for sponsoring conferences as a part of sponsored activities or from the sale of research by-products. A gift restricted only to an area within the University, but not as to use, will be classified as “restricted,” because one level of restriction has been placed on it. Examples of multi-level restricted gifts would be any form of non-governmental student financial aid or a private “grant” to generally benefit a program’s research, where the sponsor will receive only the same benefits of that research which the general public will also receive, such as publicized results. Governmental sponsors cannot donate “gifts.” Gift funds are maintained in the ledger 6 and 7 series of the chart of accounts. Restricted funds are identified by external restrictions placed upon the use of funds. As such, the source of all restricted funds must be external; internally-designated funds, including surpluses from fixed price grants/contracts, cannot be sequestered in the restricted fund for any specific purpose. Restricted grants and contracts are maintained in the Ledger 4 and 5 series of the chart of accounts. In contrast to a sponsored grant or contract, a service agreement is considered a standard contract for the performance of work by the University which, because of its non-technical nature, is to be processed outside the Vice President for Research Office. The Vice President for Research Office can assist in determining whether a proposed agreement is a service agreement or a sponsored agreement. The gift funds described above are clearly tax deductible contributions with no benefit to the donor. The Advancement Services Office, under the Vice President for University Advancement, also accepts funds where goods or services are offered in exchange for all or part of the income received. These funds must be as a result of fund-raising activities. These funds are deposited into current University gift accounts as sales/service income. The department is responsible for providing adequate documentation stating the fair market value of the goods or service received by the donor to allow the university to properly receipt the donor for any portion of the fund-raising income that is to be considered a gift. Examples of events that generate this type of income is fund-raising golf tournaments, car washes, luncheons, etc. The cost of a sponsored project is comprised of allowable direct costs related to its performance, plus the allocable portion of the allowable indirect costs of the institution. This includes the sponsor’s share and the University’s share of costs. A gift is considered “unrestricted” only if it may be used anywhere within the University.